“Lawfare” at work in the maritime domain. China will set up an “international maritime judicial center” to protect the country’s maritime rights and sovereignty claims, China’s top judge told the National People’s Congress on Sunday. Zhou Qiang, the chief justice of the Supreme People’s Court, made the comment while delivering the annual SPC work report. China’s Foreign Ministry clarified that the center will be established this year. As an example of how courts might be used to bolster territorial claims, Zhou pointed to a 2014 case heard in a Chinese maritime court. The case dealt with a collision between a Chinese fishing vessel and a cargo ship from Panama near the Senkaku/Diaoyu Islands, which are administered by Japan but also claimed by China. Zhou argued that the 2014 case, which was heard by the Xiamen maritime court in Fujian Province, was evidence of China’s jurisdiction over the disputed region. Likewise, any cases involving the East or South China Seas that are heard by China’s upcoming international maritime center will be used to prove Chinese jurisdiction and control over those regions. China has made no secret of its ambition to use legal means – “lawfare” – to achieve national security goals (including in the South China Sea). China has, for instance, condemned the Philippines’ resort to international arbitration for the South China Sea disputes largely on legal grounds. Though Beijing has repeatedly refused to participate in the case, its legal scholars nonetheless crafted a document outlining China’s argument that “the Arbitral Tribunal manifestly has no jurisdiction” over the Philippine case (arguments that were considered by the tribunal, though it largely decided in Manila’s favor on the jurisdiction question). The Philippines’ arbitration case provides the necessary context for China’s interest in setting up its own international maritime judicial center. Recently, China has been experimenting with creating its own alternatives to existing international structures – particularly when it feels the deck is stacked against it in the current system. From the Asian Infrastructure Investment Bank to the Conference on Interaction and Confidence Building Measures in Asia (CICA), Beijing sees great value in promoting international or multilateral lateral fora where it can either control the agenda outright or have the largest influence. Where China does not see the international community moving to make space for its rise and respect its interests, Beijing has proven perfectly willing to create its own institutions. Its ultimate goal, as in the case of the international maritime judicial center, is to have these alternative or parallel structures gain international influence, thus altering global systems in China’s favor. The creation of an international maritime judicial center with Chinese characteristics thus fits into a larger pattern. China will likely say all the rights things – that the center is not meant to usurp other international maritime courts; that it is open to participation from all comers – but in practice, the center will act to establish a parallel judicial center where China’s interpretation of the law rules. Meanwhile, it could serve double-duty by hearing cases related to the South and East China Seas, thus providing evidence of Chinese jurisdiction over disputed areas. 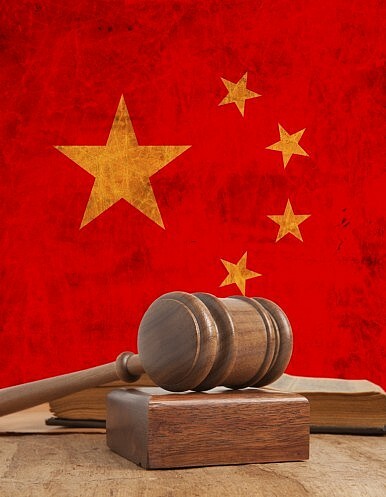 The Power of Ports: China’s Maritime MarchChina's Maritime Courts: Defenders of 'Judicial Sovereignty'Maritime Strategy With Chinese Characteristics? Why China Shouldn't Denounce UNCLOSPrivate Lending in China: Out of the Shadows?